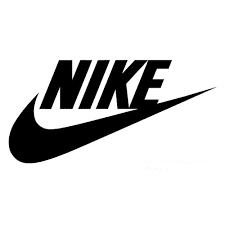 Nike is an American global corporation that is engaged in the design, creation, manufacture and global marketing of selling footwear, apparel, equipment, accessories and services. Nike is among the largest athletic shoes and apparel supplier. It initially started as blue ribbon sports in 1964 and changed to Nike inc. in 1971. It sponsors high profile sports persons and sports teams globally with the highly recognized trademark of just do it. 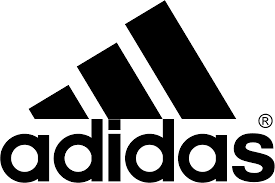 Adidas is a German global corporation that designs and manufactures sports clothing accessories and shoes. The company also creates other products such as bags, eye wear, shirts and other sports related goods. The company is leading in Europe and was founded in 1948. To begin, the company’s campaign on the internet and the media sometimes do not even mention the name and only using Nike’s slogan. This attributed to prior campaigns that have had success and led to customer’s relation of them to the company. Using these advantages, Nike has developed a variety of ways of using social networks as a communication channel with their customers while promoting their products. Nike has many accounts on twitter that focus on specific products and to develop significant demand for them. Twitter is a clear example of Nike’s web strategy. Twitter is a better communication tool as consumers can get updates on the latest news. Twitter allows the company to advertise products to the public and provides information regarding the company while building relationships with customers. It helps the company to grow in popularity. The company has also hired famous professionals who have twitter accounts too, and this is used to gain considerable attention from the public. The athletes post their photographs in Nike products. Doing this, they are able to develop a marketing approach that is competitive. Facebook is also another valuable accessory to Nike’s communication strategy. The company uses its Facebook to inspire people and athletes who are its spokespersons also appear on their Facebook page and act as reminders of that call for action. While twitter builds relationships with clients, Facebook is market oriented and provides product information and information about the company. The company’s website is another vital communication tool; the company has a range of web pages that gives information and helps the customer to make purchases online with less difficulty. In the websites, there are videos that promote the company’s products. The videos are used to associate the products with personal satisfaction. It thus created a competitive image as well as achievement in an individual doing their best . The website gives customer avenues with which to communicate with the company. YouTube is used to strengthen the company’s strategy tool. YouTube has revealed to be highly valuable as it brings reliability and accuracy. More so, it has demonstrated to be an outstanding avenue for promoting clips and publicity for the company. Here, the company created its channel as a creative way to stay in touch with consumers with ease, this way; it provides special consideration for every product while focusing on particular market targets. The company’s clips show professionals excelling after the use of their products. The videos bear an emotional effect and hence, the objective is to correlate specific feelings to their products in a manner that often ends up boosting sales. The videos express motivation and individual success and as such they manage to push customers into purchasing its products. The company also uses special events to its advantage using them to highlight its advertising approach and makes very emotional videos; for instance the Olympic 2012 campaign and the world cup 2014 campaign recently. Finally, in Nike’s communication strategy is Flickr and blogging, Flickr allows the company to share photographs of its products while allowing users to air their opinion of the products. This helps the customers to communicate problems with products and what they need to do different. The company’s blog, on the other hand, is exclusively an information sharing avenue. It promotes the company’s latest products and shares information with the public regardless of if they are prospective clients or not. Nike’s success is attributed to the company’s approach to communication and the fact that it has established itself as one that gives inspiration to all sports enthusiasts. It is a very social brand and has given new importance to communication through the internet while gaining immense success that has resulted to the global extension. Adidas is focused on developing plans of communication that are not only creative and inspiring, but also support the global positioning, create equity of brands and enhance the achievement of goals. The central precept of Adidas’ plan for communication is to tap into the emotion in sport and advantages of a sport filled way of life in all channels of communication. The company regularly brings aspects of global marketing that can easily be leveraged to develop brand messages that are simple while still powerful. The company endeavors to guarantee that all its brands stay in the lead in communication plans. The company uses digital marketing as the foundation of its communication activities. Bearing in mind the fact that consumers are online most of the time, the company’s strategy allows for its transition from campaign based communication, which has been primary in its activities, to creation of rapport with the target audience. Adidas is mostly reliant on campaign based communication as a communication strategy where it focuses on developing campaigns to raise awareness on its products. One such method is sponsorship of events. The company has sponsored a variety of sporting events such as the soccerex football festival. Deals such as this one are aimed at promoting its products to sports lovers . This draws to people’s emotions while investing in youth development through sports. The company also uses professional sports men and women to conduct campaigns aimed at popularizing their products. For instance, the company sponsors sports team and with the success of every team and good performance, the message of the products’ effectiveness is being put out there and as such, prospective customers are encouraged to use the same products. Another campaign tool is outdoor advertisements. This includes creative billboard concepts that draw customer’s attention while effectively communicating their product. Customers are therefore able to see the products in their drives home or even from their office windows. The billboard adverts serve to inform the customer’s of the company’s presence and products using well known individuals in the sports industry and relating success to their products. This communicates the idea that association with the company brings with it success, and that, therefore, is an attraction for sports oriented customers. A particular shortcoming of this is that it does not allow the client to ask questions or rather does not provide an avenue to ask questions or even air their opinion. The company also conducts online campaign activities to correspond to their customers and to endorse their products. Through the company website, clients can view pictures of the products and give their views on the same and as such helping in the development of relationships with clients. The company has a considerable online presence, but it is meager in comparison to its largest competitor. It has not been as aggressive as Nike in social media as a communication tool. In conclusion, it is evident that Nike’s web based communication strategy has proven to be more effective in ensuring brand success. The hands on approach and its dominance in the online platform has only worked to its advantage. With the increased popularity of social site, s and more people relying on these sites for information, the social sites are the perfect tool for the company efficiently to communicate to the customers while allowing them to gain insight from the consumers and market their products in simple, efficient ways. While Adidas has had relative success from its methods, it has not fully incorporated the issue of social media into its communication plan. This has slowed down its penetration into the online platform of communication. As such, can be said that Nike’s strategy is more practical and social media is a more feasible communication plan since a large proportion of individuals have social media accounts particularly the youth who are the main target group for both companies. It is thus recommended that companies do not limit themselves as pertains to what plan to use in their bid to communicate information on their products and services. Every possible channel should be used, and particular emphasis laid in the online platform as a tool for the exploitation of the internet as a communication strategy. Bearing in mind the current trends where social media is the go to place for information. It is only proper, for them to tap the full potential of these sites.